Adafruit the guys team that brought you the Onion Pi Tor Proxy earlier this week and again been busy creating amazing new gadgets to make your everyday life even easier and more fun filled. 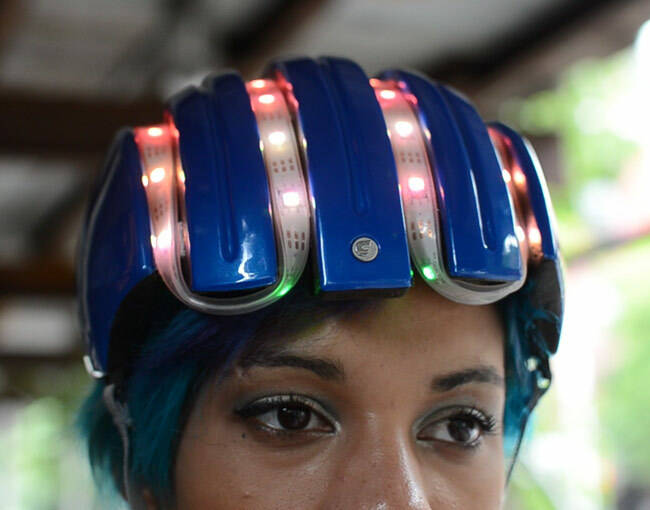 Their latest creation is the City Smart Bike Helmet which has been fitted with a LED strips and a FLORA GPS allowing you to find Citi Bike station with ease. Watch the video after the jump to see it in action. For full instructions on how to create your very own Adafruit City Smart Bike Helmet jump over to the Adafruit website.